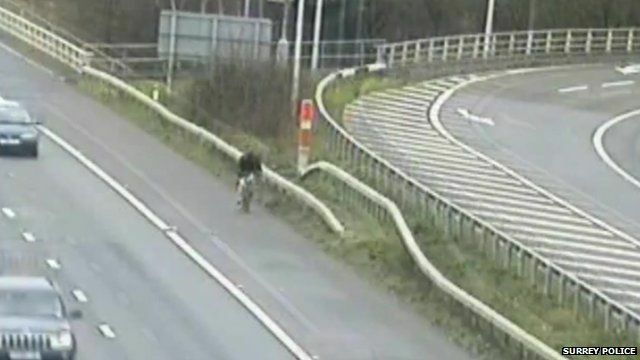 Satnav sends cyclist onto motorway Jump to media player A man was found cycling on the M25 in Surrey after an app on his phone sent him there by mistake. 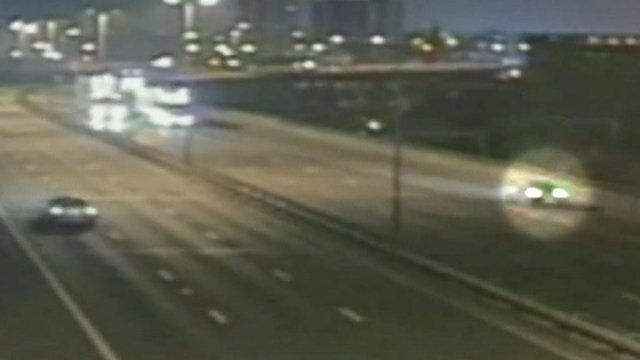 Wrong-way drunk driver misses lorries Jump to media player A woman has admitted driving the wrong way down a motorway for four miles whilst drunk. 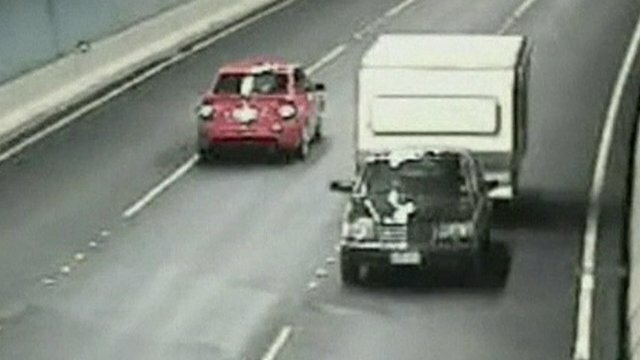 Man drives wrong way down motorway‎ Jump to media player An elderly man, who drove his car and caravan for 12 kilometres in the wrong direction along a busy motorway in Australia has had his licence taken away. 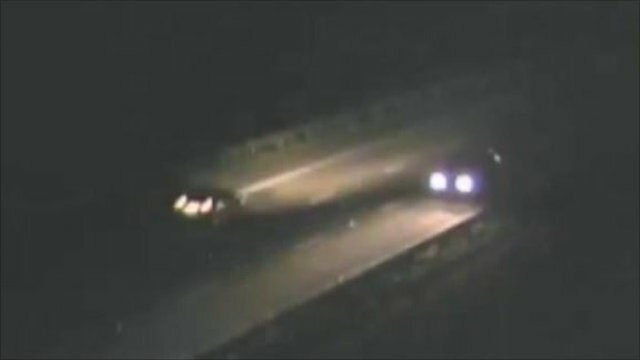 A man was found cycling on the M25 in Surrey after an app on his phone sent him there by mistake. Drivers saw the man on the hard shoulder, near the junction with the M3, during rush hour on Tuesday morning. Sgt Phil Dix, from Surrey Police, said the cyclist was spotted on motorway cameras.